The Cascades Frog is among the 53 amphibians and reptiles in a petition for federal protection by the Center for Biological Diversity. Washington is considered one of its strongholds. It has declined by 50% in California. The Western Pond Turtle has all but disappeared in Washington. It is no longer found in Canada or Puget Sound. The Rhyacotriton cascadae or Cascade Torrent Salamander, one of three species of Washington salamanders in the petition for protection from the Center for Biological Diversity. Arizona’s Center for Biological Diversity has filed the petition for protection of 53 amphibians and reptiles in 45 states. Tierra Curry, a conservation biologist in the Center’s Portland office, says these creatures are especially vulnerable because they inhabit water and land. She says more than a third of amphibians around the world are faced with extinction. And they’re important indicators of good water quality and environmental health. 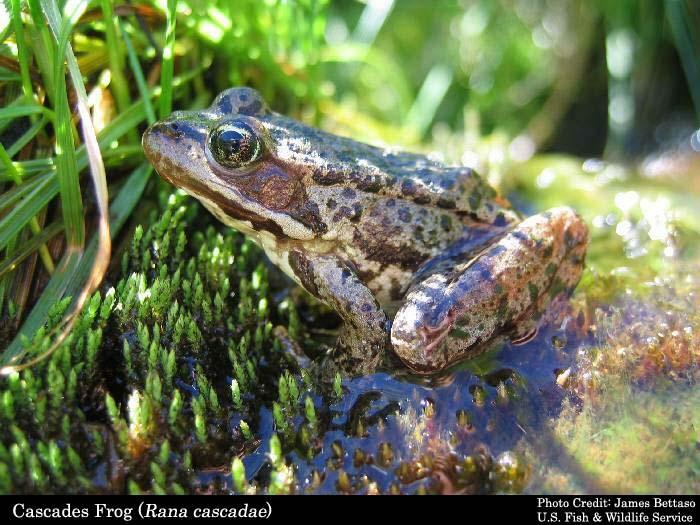 Washington creatures in their petition include the Cascades Frog, the Western Pond Turtle and three species of salamanders, all of which are struggling with the pressures of development. 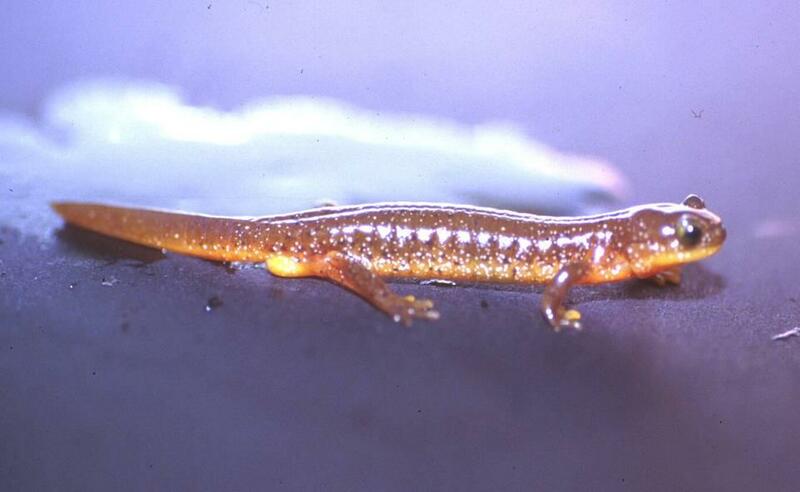 The Olympic, Cascade and Columbia Torrent Salamanders are particularly impacted by silt from logging and damming. Conservationists say there are things that can be done to help all of these species, without much impact on human economies – such as creating stream buffers and setting aside wetlands. If they’re listed under the endangered species act, those measures would be required by law. A first review of the petition, by the US Fish &b Wildlife Service, is expected in about 15 months.